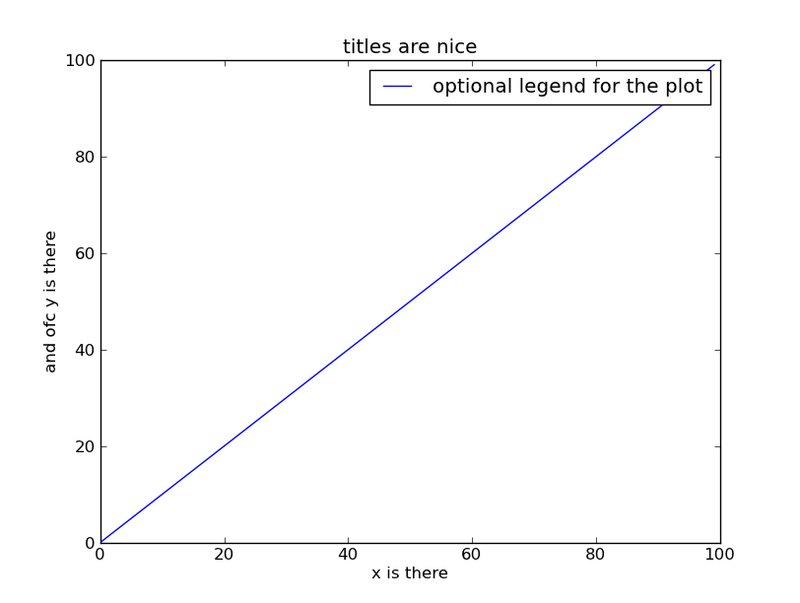 Imagination: You'll have some matplotlib in your pycon ? Yesterday, I made a presentation on matplotlib during the vous reprendrez bien un peu de pycon event. An event dedicated to make people discover projects in python. It was a nice moment thanks to a responsive audience. For those who were there (what a snobism, I publish in en_uk the restitution of a presentation made in french) here is a small summary. Plus -for former Perl developer as I- matplotlib as a tremendous advantage: a gallery with actual examples you can copy paste and it works. 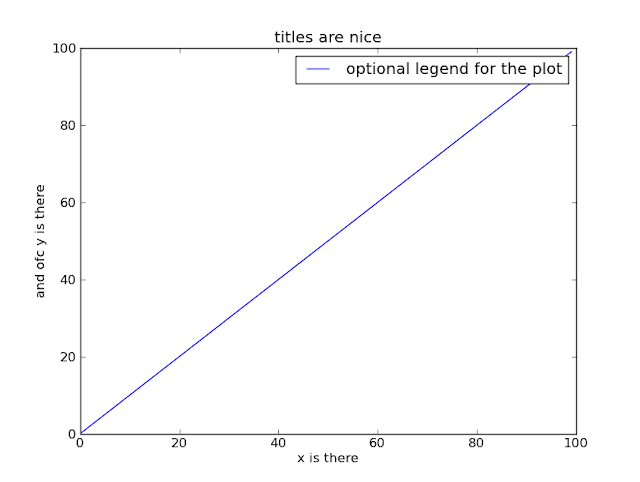 But in order to re use them, you need to know the standard opening of a plot. 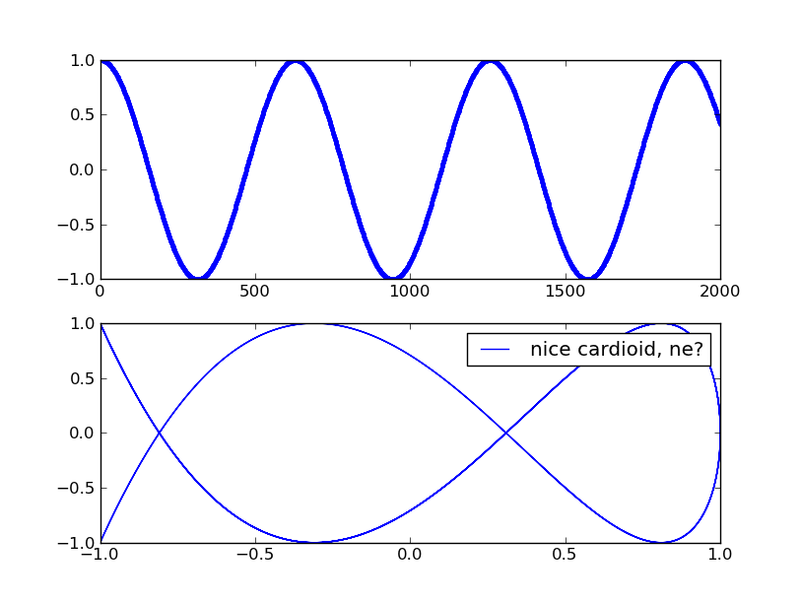 As a former matplot programmer I can ensure, matplotlib is functionnal port of matplot, an old software used in university for playing with discrete series in signal processing. ## this is the result saved for this post. Can't say, it is not easy ? What is the use of the coup du berger ? 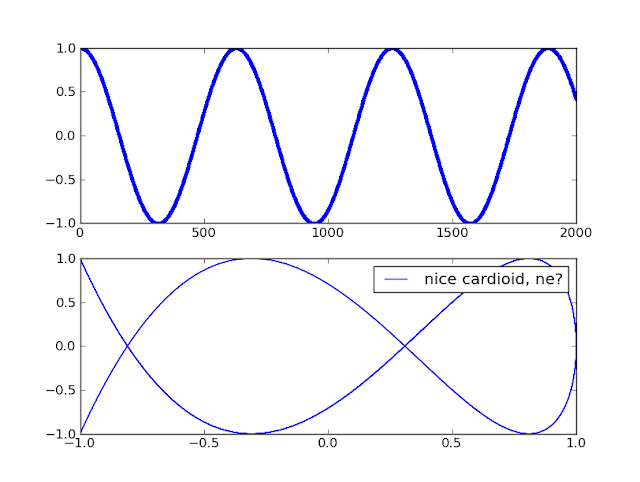 Now you can, not only cut and paste examples, but you can now recognize the pattern and understand what is specific here : http://matplotlib.sourceforge.net/examples/ This part of matplotlib is the pypi or the CPAN or the CTAN of matplotlib. The place where you gather working examples to enhance your experience of matplotlib. At this point you have the starter kit for using matplotlib. Numpy are bindings basically to fortran libraries (as a former fortran77 developer I luv it :) ) that gives a little bit of «array langage» paradigm to python. (During the presentation I said it contained numerical recipies, but I was wrong, I said it was a high performance high library for homogeneous arrays, I was right). An «array langage» is simply a language where a variable is an array and for instance 2 * a will multiply all members of an array by 2. Question: how do the hell do I play with dates ? The manual is great, the gallery is great, this is all you need to know to have fun.